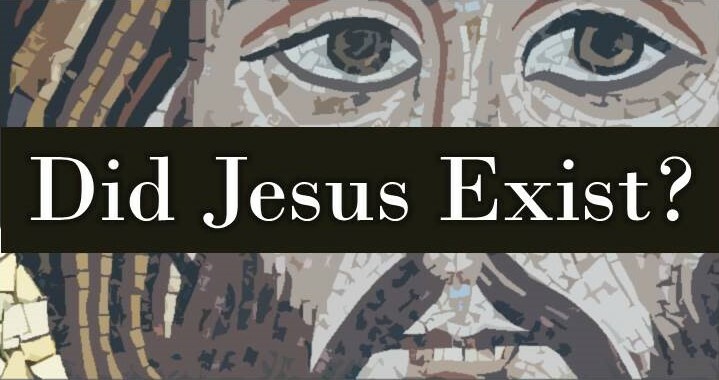 Even with the vast majority of professional scholarship affirming the existence of the historical Jesus because of the overwhelming evidence, you may still encounter the random article on Google, or the cheap “documentary” on Netflix or YouTube denying Jesus’ existence — along with denying that man ever landed on the moon, denying the Holocaust ever happened and other conspiracy theories. You may even be a Christian and have been one for quite some time but still not know for sure he existed and wouldn’t be able to defend against opposition without saying “the Bible says so.” So whether you are the skeptic never seeing any reason to believe that Jesus ever existed, I hope you come to the realization that there are many objective proofs affirming his existence. And whether you are the Christian who’s never heard any proof outside of the Biblical text, I hope this bolsters your faith even more and gives you firm assurance and a defense for your doubts and/or for an antagonist’s question. [N]either human effort nor the emperor’s generosity nor the placating of the gods ended the scandalous belief that the fire had been ordered [by Nero]. Therefore, to put down the rumor, Nero substituted as culprits and punished in the most unusual ways those hated for their shameful acts … whom the crowd called “Chrestians.” The founder of this name, Christ [Christus in Latin], had been executed in the reign of Tiberius by the procurator Pontius Pilate … Suppressed for a time, the deadly superstition erupted again not only in Judea, the origin of this evil, but also in the city [Rome], where all things horrible and shameful from everywhere come together and become popular. So when Pilate saw that he was gaining nothing, but rather that a riot was beginning, he took water and washed his hands before the crowd, saying, “I am innocent of this man’s blood; see to it yourselves. And all the people answered, “His blood be on us and on our children!” Then he released for them Barabbas, and having scourged Jesus, delivered him to be crucified. Being therefore this kind of person [i.e., a heartless Sadducee], Ananus, thinking that he had a favorable opportunity because Festus had died and Albinus was still on his way, called a meeting [literally, “sanhedrin”] of judges and brought into it the brother of Jesus-who-is-called-Messiah … James by name, and some others. He made the accusation that they had transgressed the law, and he handed them over to be stoned. Josephus is recording that Ananus lost his position because of instigating the death of James. Because James was a common name, he had to clarify him as “the brother of Jesus.” And since Jesus was a common name, he has to clarify which Jesus he’s referring to, and that’s why he specifies Jesus as the one “who is called Messiah/Christ” because his followers labeled him the promised Jewish Messiah. Around this time there lived Jesus, a wise man,…For he was one who did surprising deeds, and a teacher of such people as accept the truth gladly. He won over many Jews and many of the Greeks…When Pilate, upon hearing him accused by men of the highest standing among us, had condemned him to be crucified, those who in the first place came to love him did not give up their affection for him…And the tribe of Christians, so called after him, have still to this day not died out. These deluded creatures, you see, have persuaded themselves that they are immortal and will live forever, which explains the contempt of death and willing self-sacrifice so common among them. It was impressed on them too by their lawgiver that from the moment they are converted, deny the gods of Greece, worship the crucified sage, and live after his laws, they are all brothers. They take his instructions completely on faith, with the result that they despise all worldly goods and hold them in common ownership. So any adroit, unscrupulous fellow, who knows the world, has only to get among these simple souls and his fortune is quickly made. He says a handful in this passage! He describes the Christians as thinking that they were immortal (John 3:16), that they had contempt for death and weren’t afraid to be killed and would do so willingly (John 15:13), that they worshiped Jesus who was crucified (the core of Christianity; Jesus is divine), denied all other gods, that they were brothers and sisters (Matthew 12:50) and then that they didn’t love worldly goods (Matthew 6:19-21, 24). This satirical passage alone not only affirms Jesus’ existence, but affirms many fundamentals of the Christian faith! Secondly, they fail to realize if the claim was true, it would most certainly make Christianity an even bigger phenomenon. 2. Willful disregard of academia and its findings. 3. It is based upon, a militant mentality rooted in certain wings of Athiest thought. Most scholars who happen to be athiest/agnostic find this theory to be intellectually naive and dishonest. He existed, had “powers” and was crucified. Some say he was a sorcerer, crockpot and or the son of God. Now, what you believe is up to you as an individual in regards to his claims.